Klamath Bird Observatory is proud to announce that Jared Wolfe, KBO’s Post-doctoral Fellow, was awarded the prestigious Cooper Ornithological Society’s 2015 Young Professional Award. The recognition was awarded to Jared based on his track record of producing meaningful science focused on the impacts of climate and habitat change on tropical and temperate birds. 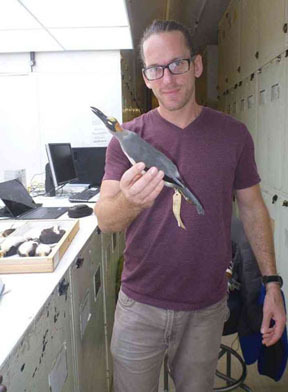 In addition to his science, Jared was recognized for his contributions to conservation and capacity building by co-founding the Louisiana Bird Observatory and teaching bird banding and statistical courses throughout Africa, and North, Central and South America. As the 2015 Young Professional Award recipient, Jared delivered a plenary address during the Cooper Ornithological Society’s and American Ornithologists Union’s 2015 meeting this past July. Jared’s plenary discussed his ongoing research into the ecological value of second growth and forest fragments for bird communities in Amazonian and Congolese forests where bird species within the same ecological guilds respond to habitat disturbance in similar ways irrespective of their evolutionary relatedness. In addition to his ongoing research in the tropics, Jared is currently working with KBO and the US Forest Service examining how bird communities on public lands in Oregon and California are responding to an increasingly volatile climate. To read the full announcement click here. IP422 – For the Birds from Immense Possibilities on Vimeo. Klamath Bird Observatory is proud to announce that Sandy Jilton is the first recipient of our new Bullock’s Rose Oriole Volunteer Award. This award has been established to recognize individuals who demonstrate outstanding service as volunteers helping Klamath Bird Observatory fulfill its mission to advance bird and habitat conservation through science, education, and partnerships. 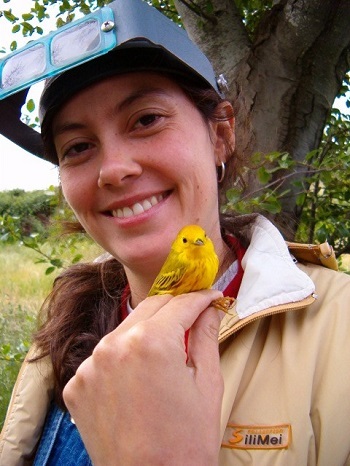 Sandy Jilton is being recognized as the recipient of the Bullock’s Rose Oriole for her efforts to help make the Klamath Bird Observatory’s 2nd annual Mountain Bird Festival a success. The Mountain Bird Festival is a community education event designed to foster the stewardship ethic needed to ensure thriving landscapes for humans and wildlife. This Festival represents a significant volunteer effort with nearly 50 community members chipping in over 1,200 volunteer hours to help put the event on. These volunteers help Klamath Bird Observatory staff with field trips, registration, vendors, planning, and much more. 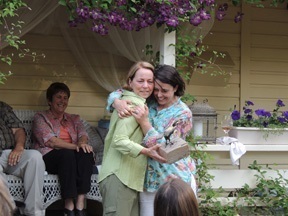 Klamath Bird Observatory recognizes Sandy Jilton with the first Bullock’s Rose Oriole Volunteer Award for her volunteer work that was essential to the success of this year’s Festival. Sandy worked tirelessly to coordinate our food and drink vendors. She spent hours to find the right vendors who best represented our region’s food and beverage culture. She then worked with them to ensure their participation benefitted their businesses while also helping us to meet the conservation oriented goals of the Festival. In addition to this core aspect of her volunteer role, Sandy was always eager to help out in any way that she could. Her endless enthusiasm, good cheer, and skillful execution made her a delight to work with. Over the past two years bird enthusiasts from all over the U.S. have flocked to Ashland, Oregon for Klamath Bird Observatory’s award winning Mountain Bird Festival. The Festival is designed to raise funds for bird conservation while celebrating the role citizens play in conservation as well as the glory of the birds and wildlife of southern Oregon and northern California. The Festival offers more than 35 field trips that explore portions of the Cascade and Siskiyou Mountains, as well as the Klamath Basin, Shasta Valley, the Klamath River, the Rogue watershed, and birding hotspots in and around Ashland and Medford. Each year, more than 120 participants, many of which traveling from out of the area, come to see some of southern Oregon’s unique bird species, and to contribute to bird conservation. In addition to these contributions, participants spend an estimated $70,000 on lodging, meals, entertainment, and more, demonstrating that birding means business and that the Mountain Bird Festival offers significant economic benefits to our region. By name, Klamath Bird Observatory’s new Bullock’s Rose Oriole Volunteer Award honors Stephanie Bullock, the Festival’s 1st Volunteer Coordinator, and Marcella Rose Sciotto, the Mountain Bird Festival Coordinator, who has made this Festival a successful volunteer-driven event. Click here to read Talent’s News & Review profile and article on Sandy and her accomplishments. The Klamath Bird Observatory‘s Board President Harry Fuller was recently honored for his career in television, which spanned nearly forty years in the San Francisco Bay area. A group of dear friends who are part of Harry’s media cohort started the Harry Fuller Fund; currently over $2500 has been donated in honor of Harry to help support KBO’s internship programs! This incredible gift is a reflection of Harry’s dedication to KBO over the years as well as his passion for bird watching. Click here for an account of the celebration, written by John Odell. 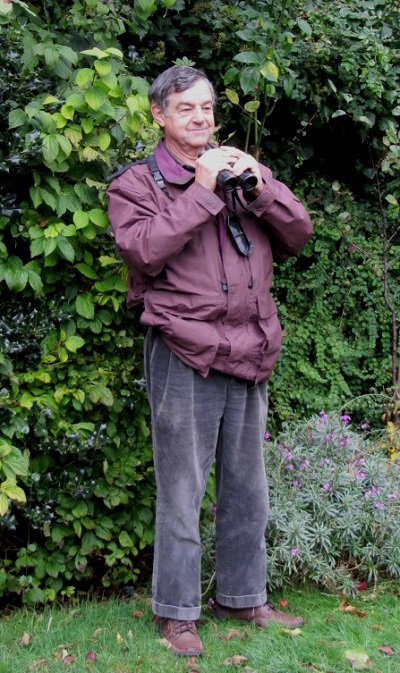 Click here for information on Harry Fuller’s bird guide services and book, “Freeway Birding”. Click here for Harry Fuller’s blog on birding Oregon and California. To contribute to the Harry Fuller Fund click here and be sure to indicate “Harry Fuller Fund” in the “Designation” field. Congratulations Harry and thank you for your service to people and birds! 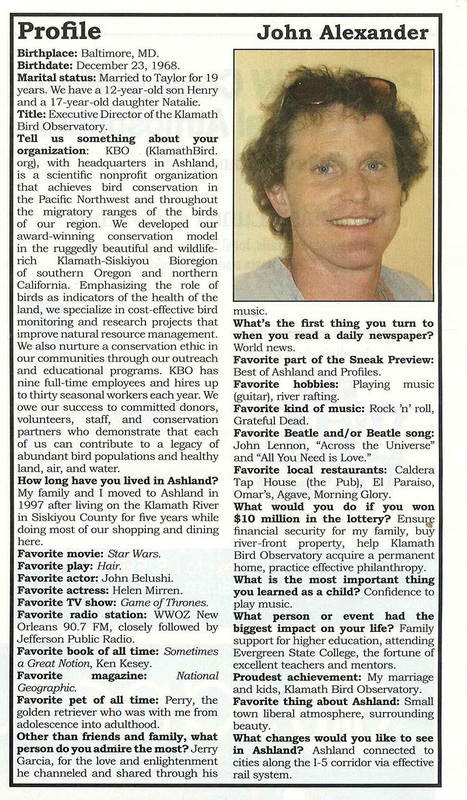 The August 2014 issue of Ashland’s Sneak Preview publication featured KBO Executive Director John Alexander in its popular Profile section. Read what John had to say about the person he admires the most, his proudest achievement, his hobbies and musical tastes, and much more by clicking here. Click here to view the full August 2014 issue of the Sneak Preview. By Brandon Breen, Klamath Bird Observatory Science Communications Breaking News! Former KBO Intern captures a remarkable bird in the highlands of western Colombia, 2,714 miles from where it was originally banded! Andrés Henao and colleagues were banding birds this week in the highlands of Colombia near the town of Las Margaritas, and on December 17th they noticed that one of the migratory birds in their mist-nets had already been banded with a small metal tag on its leg. The band was heavily worn, suggesting this bird had a story to tell. First, the biologists identified the bird as a Swainson’s Thrush and recorded the band number —2251-27131—double-checking the number. Then they carefully and quickly collected additional data about the bird, data that help determine the bird’s condition, before releasing it back into the wild. Afterward the biologists continued their banding operation, giving each additional bird that they captured equal attention and care. When they completed the day’s banding effort, Andrés contacted his former teacher, KBO Banding Project Lead Robert Frey, to tell him the exiting news: “We recaptured a banded migratory bird today, and based on the inscription on the band, it looks like the bird was originally banded in the United States with a tag issued by the Bird Banding Laboratory.” Together, Robert and Andrés logged onto the Banding Lab’s website to enter the recaptured band number. Immediately, the Banding Lab’s web site provided incredible information about the bird! This individual was banded in spring of 2008, in eastern Nebraska, near the town of Unadilla. At that time the Swainson’s Thrush was determined to be an “after hatch year,” meaning it was at least 1 year old, having hatched during the spring or summer of 2007, or earlier. Five and a half years later the bird was recaptured 2,714 miles from where it was originally encountered. Foreign Recapture is the term used when a previously banded and captured and released by a different permit than originally banded it. The Banding Lab will be contacting the original bander, and we will learn even more about this individual migratory bird. 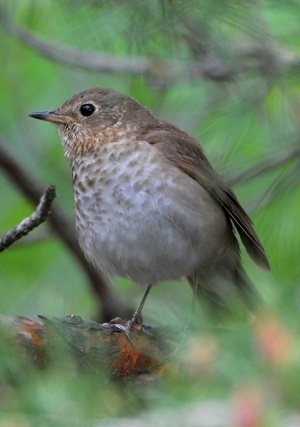 Swainson’s Thrushes breed throughout Canada and Alaska, as well as in pockets in the western United States, in the northern Great Lakes states, and in northern New England. They winter in southern Mexico, Central America, and throughout much of western South America. The Swainson’s Thrush of this story winters in Colombia and likely breeds (and was likely hatched) in central Canada. Twice each year this individual flies between the two locations, passing through Nebraska on the way. So far, this 1 ounce bird has completed at least six round-trip migrations. While this Swainson’s Thrush recovery shows us the connection between Colombia as a wintering site and Nebraska as a migratory pathway, this bird also illustrates the connections we have as conservation biologists working together to learn about and conserve migratory birds throughout their annual life cycles on a hemispheric scale. Klamath Bird Observatory works closely with many partners, including the United States Forest Service’s International Programs, to develop international conservation capacity in Latin America. Each year we invite several international interns to participate in our intensive bird banding training program. We then work with these partners to help them develop bird monitoring and conservation programs in their home countries. 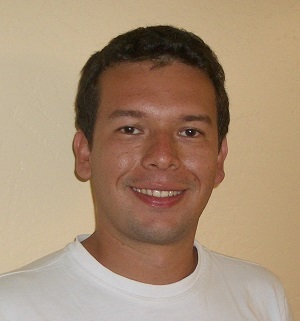 Andrés Henao trained with Klamath Bird Observatory for two seasons as a bird banding intern. Andrés is now training colleagues in his native Colombia, and he recently participated as an instructor in an international training program in Brazil. Klamath Bird Observatory is proud to partner with these early-career conservation biologists in Latin America who are contributing information and developing capacity that ultimately will allow us all to become better stewards of our shared migratory birds. We will share additional details about this remarkable Swainson’s Thrush as we learn more. Stay tuned! Klamath Bird Observatory has enjoyed and benefited from the efforts of a long string of volunteer student interns since our very beginnings in 1996. Over 170 individuals, representing 18 different countries, have participated as interns in various KBO projects. Very often, our interns are early in their careers, many just recently completing their undergraduate studies. They come to KBO for practical professional experience in preparation for graduate studies or for taking on leadership roles on various projects, mostly involving Conservation Biology. A maxim we impart to interns from the outset is this: if they succeed, KBO succeeds. Thus, we are deeply invested in their achievements following their time with KBO. One way we measure our interns’ success is to watch as they seek higher academic degrees. More than 35 former Klamath Bird Observatory interns have earned or are now pursuing advanced degrees in the natural sciences. Specifically, 22 have earned Master of Science degrees, four hold doctorates, and nine are currently enrolled in graduate programs. Another exciting way we measure success is to follow the accomplishments of our international interns, many of whom have gone on to make significant contributions to bird conservation outside of the United States. To date, we have hosted student interns from Argentina, Australia, Belize, Brazil, Canada, Colombia, Costa Rica, Ethiopia, Holland, Hungary, Jamaica, Mexico, New Zealand, Perú, Spain, Trinidad & Tobago, and United Kingdom. Of the 36 international interns we have hosted, 18 are active banding trainers internationally and most are working with increased responsibility and impact for conservation organizations. 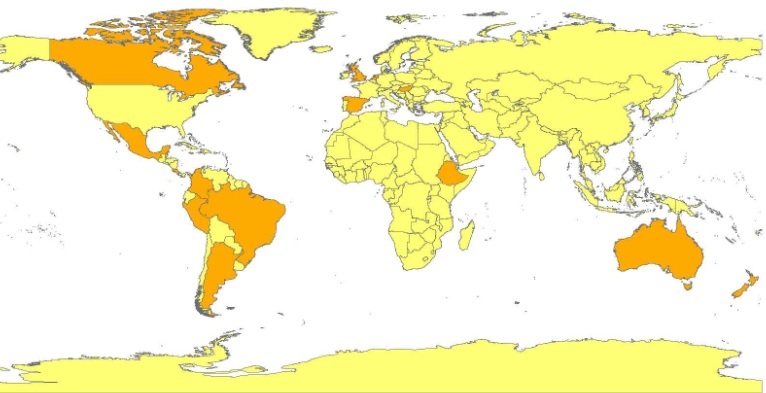 Some have even established their own bird monitoring and research programs in their home countries. We endeavor to impart a positive learning experience for every intern, and for their part, our interns oblige us through their considerable and wonderful contributions that help us advance bird and habitat conservation. As we follow the developing careers of these dynamic scientists and educators, their success is truly our success as well. This article appears in KBO’s Summer 2013 Newsletter. This article is the third installment in the series Achieving Partners in Flight Strategic Goals and Objectives. With support from the US Forest Service International Programs, Klamath Bird Observatory works to expand international capacities for demographic bird monitoring, increasing Partners in Flight’s ability to support full life cycle conservation and direct bird conservation resources toward the highest priority needs. Demographic monitoring provides information about reproductive success and survival, information that is necessary for identifying where birds are most threatened within their life cycle. Our efforts are twofold. First, advanced training is offered at KBO for select international student interns. Second, sustained support for former international interns who are developing monitoring programs in their home countries is offered through mentorship and logistical backing. 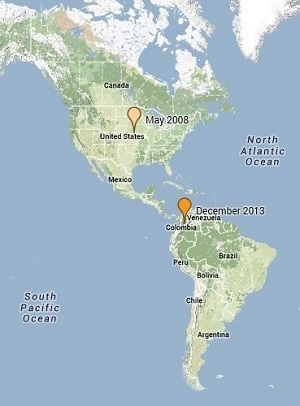 Ongoing efforts involve collaborations in western Mexico, Trinidad and Tobago, Costa Rica, Colombia, and Peru. In 2012 five international interns completed training at KBO. Two of these interns achieved North American Banding Council certification, one at the Trainer Level, and a second at the Bander Level. KBO affiliate Carl Fitzjames continues to work in Trinidad and Tobago to advance coordinated monitoring in the Caribbean. In 2012, working with the University of the West Indies, Carl started a constant effort mist netting station in Brasso Seco as well as a project to survey for migrants in the Caroni Swamp. Luis Morales, a KBO affiliate in western Mexico, is developing the San Pancho Bird Observatory, and has received seed funding for 2013 to host a banding workshop, conduct wintering migratory bird surveys, and commence efforts at a constant effort mist netting station. Visit the KBO website to learn more about our International Capacity Building Programs. Harry Fuller’s new book, “Freeway Birding: San Francisco to Seattle,” is aimed at the traveling birder who may have half an hour or half a day to bird along the way. The book describes dozens of locations within 20-minutes drive of the major north-south freeways in the region, and includes over 100 useful maps. The Mail Tribune recently ran this excellent article about the book. The Klamath Bird Observatory is pleased to be hosting Harry Fuller’s first book signing event from 630-730pm on Wednesday, February 27th at the KBO Offices (320 Beach St., Ashland, OR). We hope to see you there. The book, published by Living Gold Press, is available for $21.95 and proceeds from this event will be donated to the Klamath Bird Observatory. Light refreshments will be provided. Harry Fuller is an experienced birding guide in the Pacific States and a KBO Board Member. This is Harry’s first book.